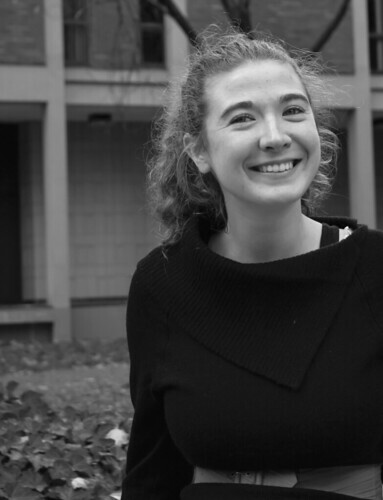 Aside from receiving accolades from local schools and Jewish institutions, Friedman, a freshman communications major, was given the Gold Award, the highest honor awarded by the Girl Scouts of America. Friedman’s sights are set on possibly adding a major in political science and eventually entering entertainment law. The success of her documentary has opened doors for her career, but the experience of teaching people through a film also taught her a lot about herself. The Temple News: Can you describe your experience pursuing the Girl Scout Gold Award? Darragh Friedman: I’ve been a Girl Scout for 11 years. For me, a lot of it was about was about the people I was with. You create lifelong bonds, you know, sewing all those patches. [But applying for the award was] really not that fun – lots of people drop out during the process. I completed hundreds of hours of editing. Receiving the award required 65 hours of “leadership in the community.” A lot of people, you know, clean up a farm or something like that. [I’m] not saying that isn’t a good thing to do, but I wanted to attempt something more serious – pursue a project that contributes to the community around me with a longer life than one presentation. TTN: How did you handle the sensitive subject matter that accompanied your project? DF: I cried during and after every interview. It’s all very difficult to believe. I had a hard time dealing with the fact that these things actually happened. The title I chose, “The Voices of Time Before They Are Silenced: The Holocaust,” reflects my motivation. The people with these stories were in their eighties and nineties … we have to capture what they have to say. I know I was honoring these five individuals by sharing their stories, and it was very humbling. Most of the people I interviewed had more energy than a lot of 18-year-olds I know. One woman taught me how to do the cha-cha. They have sad stories, but they’re happy people. During the process, I also learned something about myself and how I work. While it may make me a “bad editor,” I found that I had to cut [the shots] for the people, not for the film, which meant cutting some scenes with graphic, gruesome descriptions. It was somewhat uncomfortable for the subjects, so I had to sympathize with the fact that they would be watching this. TTN: Where do you see your work going? DF: Since the debut at the Bryn Mawr Film Institute, I’ve met a series of connections. I’m now officially the Kline Jewish Community Center Holocaust Awareness Museum videographer. I’ve received several offers to do screenings at different synagogues, and I hope to send the film in to festivals. With any project, I don’t try to hold on to the “glory days” for too long, but this project should have a longer life. I’m hoping there is a possibility that this could even turn into a series. TTN: So you describe media as “your love”? DF: Yes, and I’m glad that I could contribute to the community using that. But I’m really kind of a tech dork … I love Final Cut Pro. I recently had my third-year anniversary with the program – I bought myself a cake to celebrate. Larry Hanover spoke on Monday about a memoir he helped write. Stories That Live, an organization that connects college students and local Holocaust survivors, selected eight students to create visual projects detailing survivors’ experiences.